I’m a San Diego Home/Garden STAR! Home/Blog Post/I’m a San Diego Home/Garden STAR! I am honored to have been chosen as one of the “Stars of San Diego” by San Diego Home/Garden Lifestyles Magazine in the January 2016 issue! 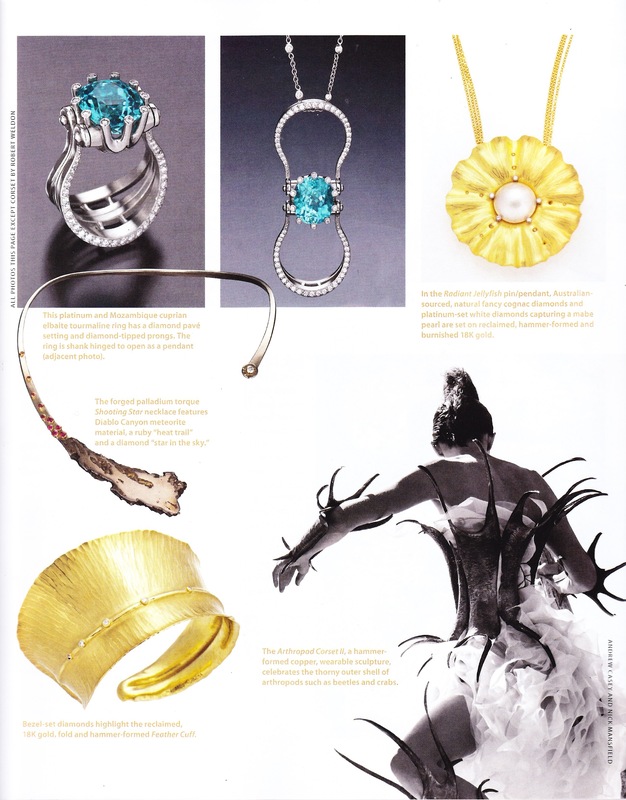 Lovely article by Mark Hiss, great studio shot by Martin Mann, featuring beautiful jewelry images by Robert Weldon, and fashion shot of wearable sculpture by Andrew Casey and Nick Mansfield. 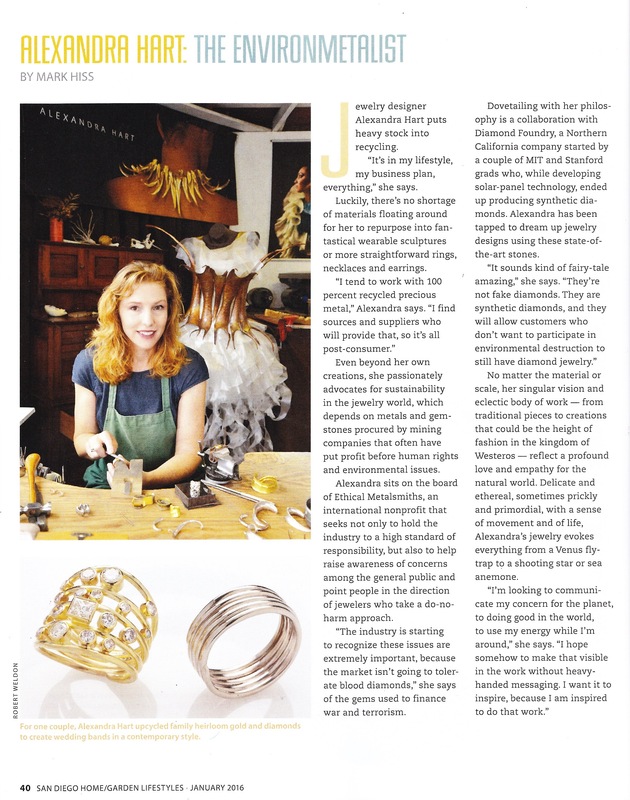 This feature, “The Environmentalist” covers how all my work is based around the theme celebrating natural world: from its beauty to its preservation by using responsible sourcing practices.